PenichePeniche is located in the center of west Portugal, about 89 km north of the country capital, Lisbon. BalealBaleal, which was once an island too, owes its name to having formerly been a centre where whales (“Baleia”, in Portuguese) were butchered and cut in the Middle Ages. West RegionThere are countless activities and ideas available to you in the western region. NazaréNazaré is a small village in the center of West Portugal. It is worldwide known for the biggest wave ever surfed in the world. Weather StatsPortugal has Mediterranean temperate climate. A Mediterranean temperate climate features hot summers and relatively mild winters, with hardly any summer rain. Getting thereThe closest airport to Peniche is in Lisbon, about 90Km from our location. From Lisbon you can catch a bus, it takes about 1h30m and stops in Peniche. Surf SpotsPeniche and Baleal areas are amongst the most diverse and consistent surfing regions in Portugal! HostelsHostel Accommodation in Baleal, Peniche. The Hostel accommodation is the budget wise option. VillasVilla accommodation is ideal for couples, and groups of friends that appreciate some extra comfort. Private ApartmentsPrivate Apartments are the most exclusive type of lodging that our surfcamp offers. 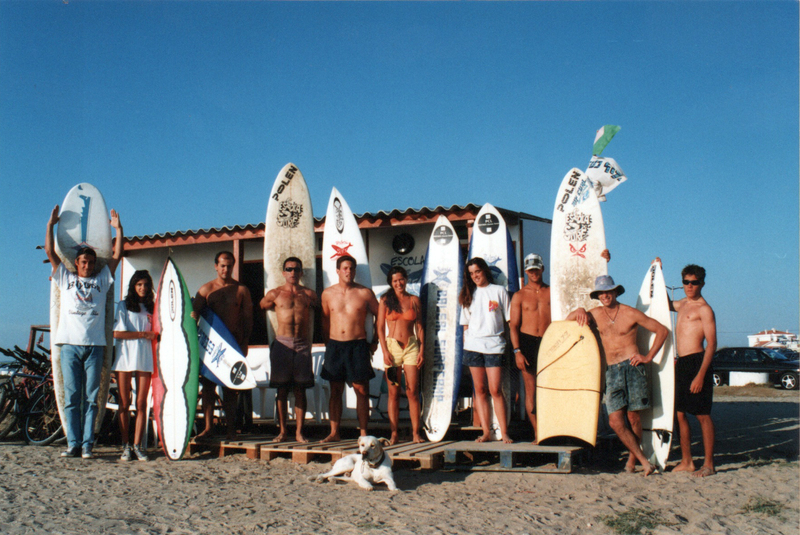 About usGet to know the history of Baleal Surf Camp. Quality Surf TuitionGetting to your feet for the first time on a wave is an experience you will always remember. ConceptOK, now it’s time to have some fun on a few well-deserved days off! BeginnerWhat you will be learning as a beginner surfer. IntermediateWhat you will be learning as an intermediate surfer. World surf leagueWatch the best surfers in the World live on World Surf League here in Peniche. TeamHave a look and see who will welcome you at Baleal Surf Camp. AboutThe Surf School is located at Praia do Baleal Campismo next to Baleal on the Surf Spot known as Cantinho da Baía at the north part of the Peniche Peninsula. CertificationOur Surf School was one the first schools opening in Peniche and Portugal, its main goal is to teach safe surfing using only adequate gear and to offer highly dynamic, fun classes that continuously focus on pupils’ progress. 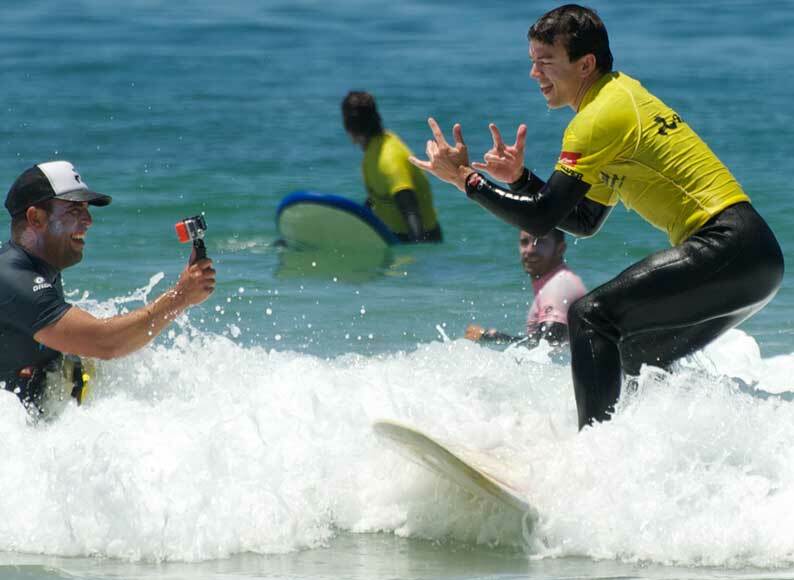 LevelsAs a beginner, our surf course will teach you the basics of surf as a sport. PricesDuring your holiday in Peniche come to Baleal and try one of our available surf courses. If you have children bring them and try our children classes. Children & TeensA great way to make the day! Just ask the kids that have tried surfing with us and they’ll probably tell you that. PhotosOur selection of the best photos! Video of the weekEvery week a new video! PromosCheck out the promos and deals we creat for you. ShuttleGuests that booked one of our packages and traveling by bus to Peniche have shuttling from/to Baleal guaranteed by the camp, for free from 10:00 to 18:45. Terms & ConditionsAny guest staying with Baleal Surf Camp agrees with our terms & conditions. Know more about it here. Baleal Surf School was one the first schools opening in Peniche and Portugal, its main goal is to teach safe surfing using only adequate gear and to offer highly dynamic, fun classes that continuously focus on pupils progress. Benefitting from beeing located in the most consistent surf spot in Peniche and Baleal Peninsulas our surf school has an ideal location for providing quality surf courses, great for beginners and intermediate surfers. Since Baleal Surf School started in 1993, we have conducted over 10,000 surf courses for people from all sorts of nationalities with ages that span an equally wide range. We are the only surf school in Portugal’s West Region that operates as a concessionary on a beach that has been exclusively reserved for water sports. As a result, we operate in an area of about 150 metres of the Baleal Camping Park beach that has been exclusively reserved for our Surfschool during the bathing season and are thus able to run our courses on that beach under very safe conditions. Baleal Surf Camp / Surf School in Peniche is certified by the Portuguese Surfing Federation, Portuguese Tourism Board as well as the Peniche Harbour Captancy. We are also ISA member and comply with standards so that the school is registered each year. Therefore, the professionalism and qualification of our surf teachers has been accredited by the entities that regulate the practice of this sport.